I have been fighting mitral valve prolapse for 30 years. I have chest discomfort, dizziness, tingling of the extremities, panic attack, and anxiety I cannot control when it comes on. I learned to watch for the signs and try to stop it before it starts. Palpitations, fluttering, and strong heartbeat I can feel all day and night. I think I'm nuts. I've been in the emergency room 3 times this year positive I was dying, and was sent home after 2 hours. All tests say I'm normal with a slight murmur. Very uncomfortable and scary. My sister had been diagnosed with mild mitral valve prolapse. (MVP) 15 years ago. Now she is of age 61. She had severe MVP a month ago. She developed a heart murmur. She started with feeling tired. She had headaches for years, was going to the bathroom 3 times in the middle of the night. She had heart skipping and chest pains. It was detected first with a heart murmur sound 2 years ago. The doctor at that time did not order further testing. New doctor detected it. She then had to have surgery with cow tissue. They did not cut her sternum but went through the side. She ended up with an infection and started antibiotics. They were thinking she might need a pace maker. So far good. She is in severe pain under her arm. Has to walk 4 times a day in the hospital nurse station. Once she doesn't use the walker she can go home. It's been day 3. Day of surgery 5/4/18. It is important to get a good surgeon that has done over 500 surgeries. 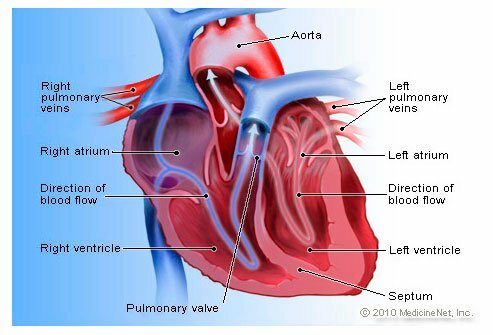 I have had heart issues but they have been controlled by medications for 9 years.